Cover all your decor bases with this tasteful brass and black metal torchiere floor lamp. Antique brass and matte black finishes alternate to stunning effect on this four-light LED torchiere floor Lamp from Possini Euro Design®. Delivering energy-efficient illumination to a living area or home office, this torchiere features a lovely opal glass shade for excellent diffusion. A four-position rotary switch allows for just the right amount of illumination for any occasion. Overall: 72 1/4" high. Base is 1 1/2" high x 14" wide. Shade is 18" wide x 4 3/4" high. Weighs 35 lbs. 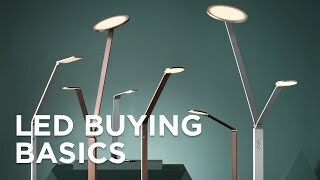 Four standard sockets rated up to 40 watts each (13 watt A19 LED dimmable bulbs included; 2700K color temp; light output comparable to 500 watts incandescent). 4-position column switch turns on 1, 3 or 4 bulbs. 8' silver cord. Warm antique brass and matte black finish over metal construction. Opal glass shade. 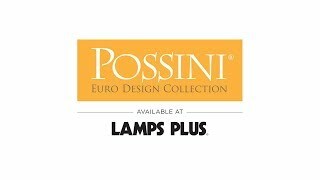 Cameron Light Blaster™ four-light energy-efficient LED torchiere floor Lamp by Possini Euro Design®. Were looking from a lamp to light up a tall, dark room. This worked perfectly.